Beginning July 1, 2010, applications for the federal high risk pool should be available at: www.healthcare.gov. 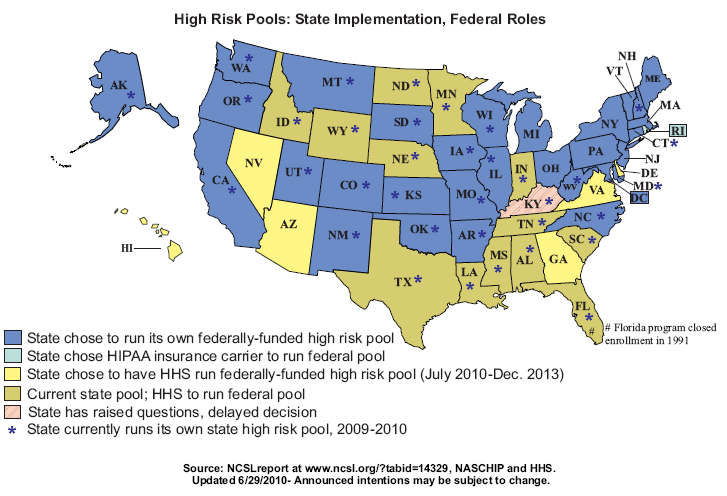 The application for the federal high risk pool is available at: http://www.pcip.gov/Apply.html. 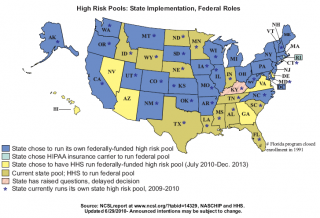 Note the states on the graphic at the right whose temporary high risk pools will be run by HHS. See www.healthcare.gov for more information on this pool.